Finding the perfect decorations for theme parties, such as Derby Day, can sometimes be difficult. However, Bartz’s has one of the biggest selections of theme party supplies, so it’s easy to find the appropriate décor. There’s nothing more exciting than the Kentucky Derby, so why not make your Derby Day event even more fun? 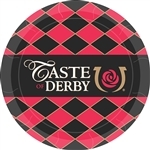 With our officially licensed Kentucky Derby tableware, party decorations, and accessories, which sport the traditional derby icon, you’ll almost feel like you’re spending a day at the races. Be sure to wear your best hat, or try one of ours! We supply discounted, colorful jockey helmets and Derby Day props to ensure your guests have a great time. You can even make your party extra authentic by placing bets with our Derby Tote Tickets Game. See if you have a knack for picking a winning horse, and even honor your guests with a decorative rose lei, just like they do at Churchill Downs. Everyone will feel like a winner at your party! 40 inches long 7 inches x 13 inches Are you ready for the big race? You can't be more ready than wearing this Horse Head Hat. It's perfect for horse races, the Kentucky derby and any other event that involves horses. This Horse Head Hat is a fun way to get into the spirit of horses and even get a chuckle out of your friends. Have fun rooting for your favorite horse with this Horse Head Hat. Each Package Includes one Horse Head Hat (one size fits most) made out of a plush fabric. Due to hygiene-related concerns, this item is non-refundable. Add to the excitement and thunder of a derby race with party supplies from Bartz's Party Stores. 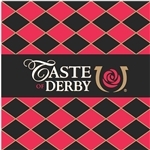 We are happy to have officially licensed Kentucky Derby party supplies including tableware. We have a great selection of other fun party decorations sure to create a wow at your derby party. Including various cutouts and hanging decorations as well as table centerpieces and fun things to wear at the party. Check out our selection and learn why many have made Bartz's Party Stores there first stop when getting ready for a derby party.